Как часто вы заходите на наш ресурс?? 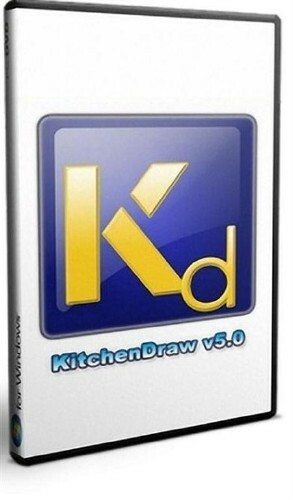 KitchenDraw 5.0E предназначен для разработки дизайн-проектов по продаже мебельных салонов и мебельных фабрик. - Windows 95. 98. ME. NT4 or 2000. With the help of the program «KitchenDraw 5.0E» You can create a moment in the three-dimensional image of the design project of photographic quality. The program allows for the interior design, selection of styles and automatic replacement of the examples of furniture based catalog, arrangement of furniture with built-in appliances, sink, hood, etc., automatic or manual alignment of the size, capacity estimates and specifications, the transfer of financial documents in Microsoft Word. Moreover, using the «KitchenDraw 5.0E» Orders can be sent by (design projects) in the mail. A. Made all the existing catalogs. Two. In the new attributes added to the texture. 4. Details of the installation.